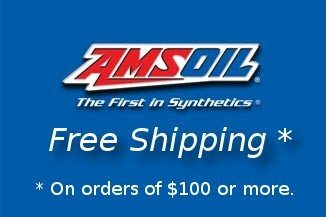 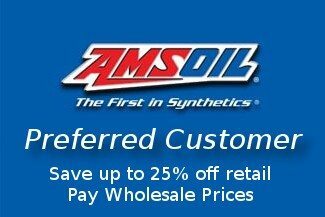 Donaldson Blue® oil filters are made with premium advanced synthetic media technology that results in fibers that have a controlled size, shape and smaller fiber diameter. 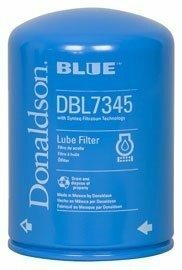 The controlled media manufacturing process allows Donaldson Blue® oil filters to deliver both higher dirt holding capacity at the same pressure differential and higher efficiency compared to conventional cellulose filters. 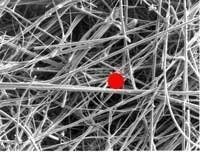 The synthetic media also has better durability with usage. 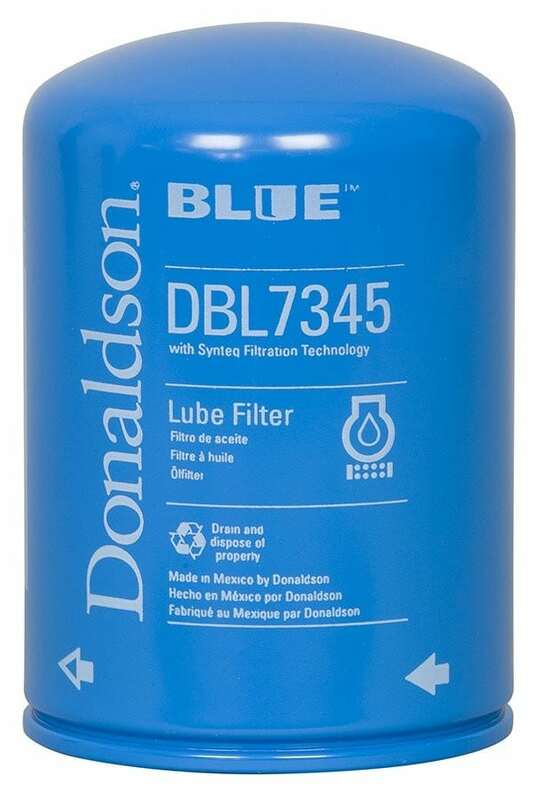 Donaldson Blue® oil filters offer extended service intervals, greater engine protection to prolong engine and equipment life, improved lubricant flow, improved cold start performance and lower operating costs. 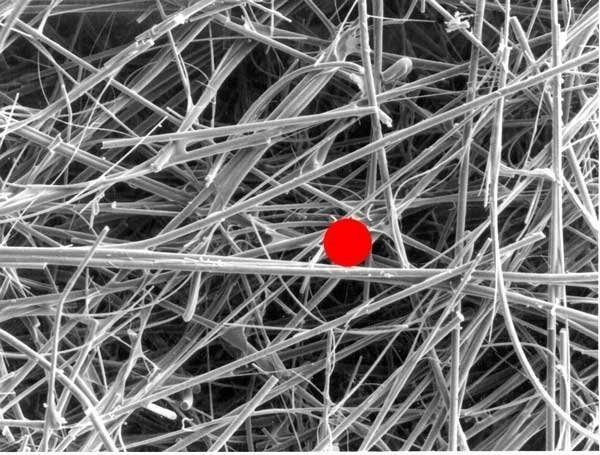 Left/Top: Small, consistent synthetic fibers trap smaller particles and hold more contaminants, resulting in lower restriction. 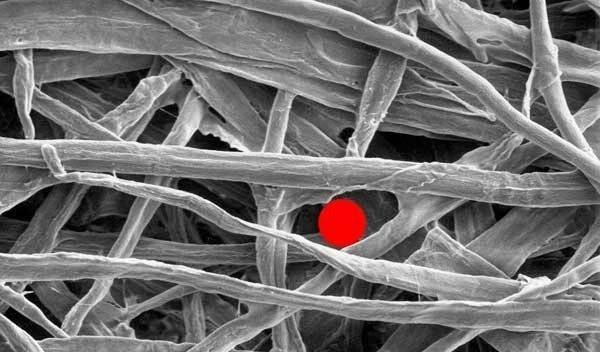 Right/Bottom: Cellulose fibers are inconsistent in size and shape, allowing more contaminants to pass through, resulting in higher restriction and lower capacity.